I’m usually skeptical of anything from a gadget to a golf course when it’s rolled out as the latest, greatest, knock-your-socks-off innovation. 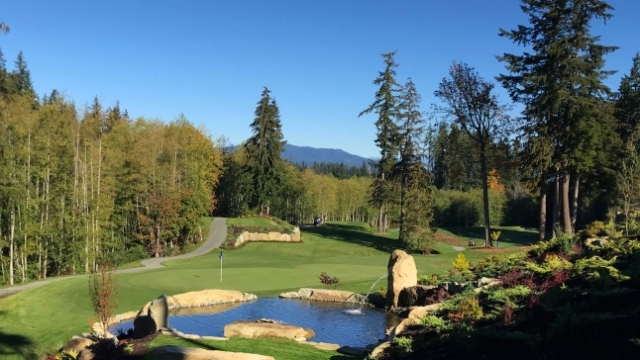 Consequently, when I first heard the buzz about the redesign of the Campbell River Golf and Country Club’s 18-hole course, and plans to make the facility overall the “newest most exciting golf destination on Vancouver Island,” there was room for skepticism. 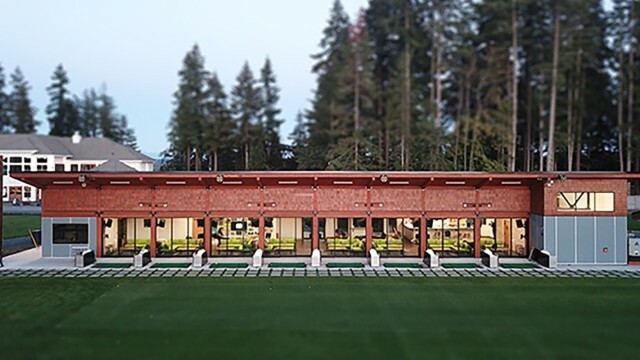 The club’s new owners had zero experience in golf course development and, moreover, the new rebuild would invariably be stacked up against several Vancouver Island courses high on Canada’s Top 100 List: Bear Mountain, Olympic View, Storey Creek and Crown Isle—to name a few. Nevertheless, it’s not a crime to blow your own horn and in this particular case the claims were not without substance. A few weeks after the club’s debut in August 2018, I accepted an invitation to fly west, play the rebuilt course and explore the owner’s vision of a new and different golf experience, one promised to appeal to a broad range of people. Lofty claims aside, and keeping an open mind, I was not disappointed. Right from the outset, it was evident the proprietors of the Campbell River Golf Club (CRGC) had created something worth crowing about. I was travelling with a group of seasoned golf writers who generally agreed that what the owners have engineered overall is impressive. What’s offered at the CRGC is a leap forward from the standard golf experience, a commendable endeavour considering present day efforts to keep the game of golf relevant and to attract new players. 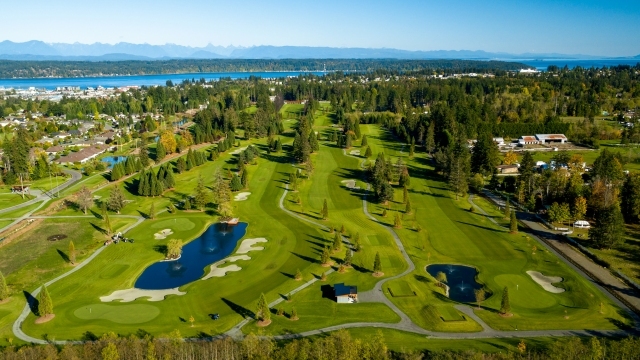 When Kris Mailman and family—owners of one of the largest residential construction companies in Western Canada—purchased the Sequoia Springs Golf Course (SSGC) in early 2017, the plan was to create a different and inclusive kind of golf club that would be named after their hometown of Campbell River, a community on the island’s northeast shore. The heart of their masterplan was a complete course redesign together with the introduction of an ace in the hole which I’ll address further on. The old and tired SSGC was about to undergo an entire metamorphosis and work began in earnest. The new Graham Cooke-designed layout was completed in a mere 17 months when a total rebuild can typically take considerably longer. “The first time walking the site it was clear there would not be much worth saving,” said Cooke-associate Corey Black. When all traces of the old course had been removed there was nothing left but the trees around which the Cooke team created a totally new par 70 layout. Measuring 6,141 yards from the tips, I found it visually pleasing with western red cedar and sequoia trees lining its mostly generous fairways with only two or three holes being fairly tight. Cooke shaped the course in such a way that sand and/or water hazards are present on 16 holes. What was plain from the get-go was that the owners had spared no expense. As I played my way around the 18 holes that stretch over a park-like setting against a backdrop of mountains, it was obvious no corners had been cut. It’s a course that can be played in 3.5 hours with immaculately groomed fairways, several new man-made water features, all-new bentgrass greens, seven par 3s and a top-notch practice facility. The club’s owners say the course was specifically designed to attract golfers of every calibre, a claim of inclusivness not without merit. Except for two or three holes, the newbie or casual golfer playing from appropriate tees should be able to enjoy a round without getting seriously beat up. I found it completely playable despite coming off the back side of a broken wrist. Alternatively, played from the tips the course that is now the 13th member of the Vancouver Island Golf Trail, easily offers sufficient challenge to test the low handicapper. None of the top golfers in my group walked away saying the course was a walk in the woods. “This course can truly transform based on the tees played and where the pins are positioned on the greens,” said Black. Being a double digit golfer, I liked the layout overall largely for its playability and conditioning although two of the big hitters I played with suggested many who are long off the tee tend to appreciate longer yardage. This preference, however, is countered by those who complain long courses take too long to play. The other issue mentioned was the CRGC greens fees of $99 plus cart when the nearby world-class Storey Creek Golf Club can be played for significantly less. While the course overall is first class, the kicker that elevates the club to a new level is its ace in the hole. This is where I largely fell in line with the promotional claim that it’s an “exciting golf destination.” What sets the CRGC apart is the installation of a brand new Toptracer Range, a system that has proven exceedingly popular in the U.S. and Europe. Only one other place in Canada (a golf school in Kanata, Onario) offers this state-of-the-art network of cameras, lights and radar that captures a host of data including shot distance, ball speed, launch angle and ball flight. Toptracer is owned by a Texas-based company that offers free installation in exchange for an equipment lease. This particular CRGC installation is likely the thin edge of the wedge in Canada and I’ll wager we will see plenty more of them in the future. Played from a bank of eight covered driving stations, just like the tracer technology you see on PGA Tour broadcasts, the optics show up on a TV screen in a player’s bay. Operational both day and night, with each bay flanked by seating for eight, it completely transforms a typical trip to the driving range into a multi media experience. Besides being an effective practice tool, the system also offers a variety of virtual golf games to play alone or among friends including longest drive, closest to the pin, plus virtual golf on a selection of world-class courses. Totally automated and heated for play year-round, each bay booked by the hour comes with unlimited balls and top of the line golf clubs. The Toptracer Range is attached to the club’s new free-standing Velocity Lounge, a modern yet casual drinking/dining spot where, the night I visited, the place was a hive of activity. The golfers in my group were like kids in a candy shop, who between beers and food became serious range rivals. In a party-like atmosphere, other groups that were similarly engaged included golf newbies with the upshot of this being exactly what the club’s owners were aiming for: inclusivity. The place exuded a fun vibe that seamlessly fused golf with entertainment—the kind of marriage needed to attract the young, tech-driven generation who are likely the future of the game. Toptracer and the rebuilt course are only part of what the owners say they have planned. “There’s a lot more to look forward to,” said Amanda Raleigh, the club’s general manager. “We want to turn this place into a destination golf resort.” On the drawing board is a hotel, a new restaurant, convention space and a spa, all to be completed in the next two or three years. Like most Vancouver Island courses, the CRGC is open year round thanks to the island’s mild winters and sub-Mediterranean climate. The Campbell River area, known as the Salmon Capital of the World, is one of the few places in Canada where people can play golf and ski in the same day. Donna Carter is a freelance writer and former travel magazine editor. She has played golf courses around the globe from Tasmania to Thailand, China, Malaysia, Ireland, Scotland, Portugal, South Africa and more.